Browsing articles tagged with " USAID"
The best part of Washington DC is its historic buildings which preserve the past and offer a fascinating glimpse into the changes in architecture and daily American life since the independence. This is probably the only city in US which makes you feel as if in Europe. I attended Girl Power – A Photo Gallery Exhibition at the USAID Knowledge Services Center, Ronald Reagan Building and International Trade Center. It was an invitation by colleagues of World Learning at the Department of States. Outside the Federal Triangle orange line metro station, 24 minutes from Ballston-MU station. I came here before my Financial Management night class started at 630pm. The leaves start to Fall and weather turns cold these few days. Ronald Reagan Building and International Trade Center is just opposite the metro station. Inside Ronald Reagan Building and International Trade Center. Girl Power – A Photo Gallery was exhibited at the USAID Knowledge Services Center. The United States Agency for International Development (USAID) is the federal government agency primarily responsible for administering civilian foreign aid created by President John F. Kennedy in 1961. USAID’s stated goals include providing “economic, development and humanitarian assistance around the world in support of the foreign policy goals of the United States“. It operates in Sub-Saharan Africa; Asia and the Near East, Latin America and the Caribbean, Europe, and Eurasia. 10×10 is a feature film and a digital action campaign launched by an award-winning team of former ABC News journalists. Their message is simple: Educating girls in the developing world will bring about transformational change. The 10×10 film tells the stories of 10 girls from 10 countries. 10×10 partners with forward-thinking corporations (such as Intel), NGOs (such as World Vision), celebrities, policy leaders, and concerned citizens to build a global grassroots and transmedia movement well in advance of the film’s release. I talked to Lauren Mitte, the Project Manager of 10×10 from New York. She is so passionate in this cause and wants to use film technology to showcase to the entire world. I met Global Water Resource Sustainability Manager from the Coca Cola company too. It is good to see big corporations like this spend a huge amount of money in social projects. Kathy, who works in USAID for 18 years truly broaden my eyes on why USAID is so important. Inequality in gender is still very serious in many countries. Young girls do not live as they deserved. This is Beni Suef from Egypt. She is the one of only three in her family who has the ‘luxury’ to get an education. This is Bardiya from Nepal. Girls in Nepal do not have an easy path to getting an education. Basic literacy for girls is almost hall of that for boys (35% for girls vs 63$ for boys). With more than half of the country surviving on less than a dollar a day, girls provide desperately needed labor both inside and outside the home. 10×10 is working with a new NGO called Pink Bike to provide girls in need with bicycle. With this simple intervention, the education that was simply out of reach for ten of thousands of girls, is now a real possibility. “Life without an education is like a book with blank paper.” – Purnima, 15, Nepal. “I feel unsafe everywhere. I don’t even feel safe sitting here.” – Kitana, lives in a refugee camp in Haiti. While many of us are contemplating whether to buy a new iPhone 4S or planning a trip in the coming holiday; there are so many people suffering from illiteracy in the world you live. While many of us are complaining of our studies and heavy assignments, there are so many people out there – all their dream is just to get an education. Through education, there is a chance – a chance to escape from poverty and change the destiny of an entire family even the community. In India, only 11% of girls get college education. In Cambodia, 4 out of 5 girls drop out of school when they turn 13. In Nigeria, 60% of school drop out are girls. 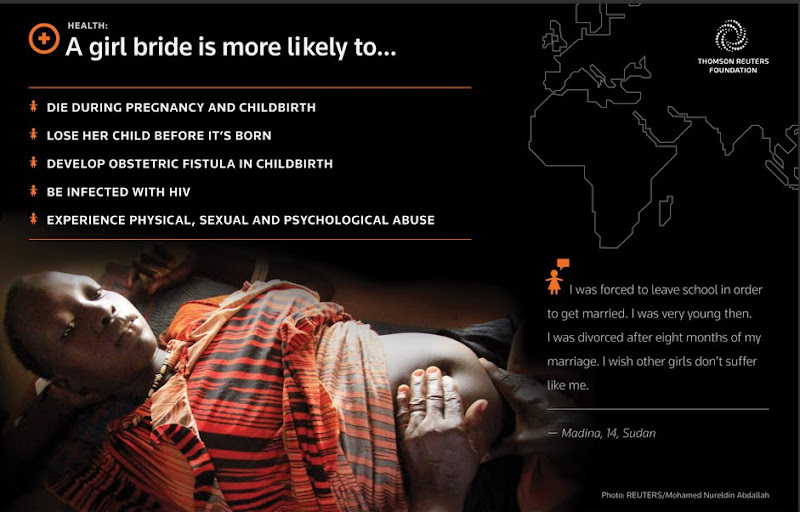 Most of they succumb to child marriage, prostitution and die young. They don’t have much choices, do they? Shouldn’t we feel grateful of what we possess now compared to these girls? But we can give them hope. We can make a change in their life. To me, it is about living our life to the fullest and be the person we aspire to be. Maximize our potential, lead a good life with people we care and give back to this society. It doesn’t need to be a “big” or “glamorous” thing – it can be as simple as making someone lives a little bit better because of your presence. To know about the young girls’ stories and see how can you help them?